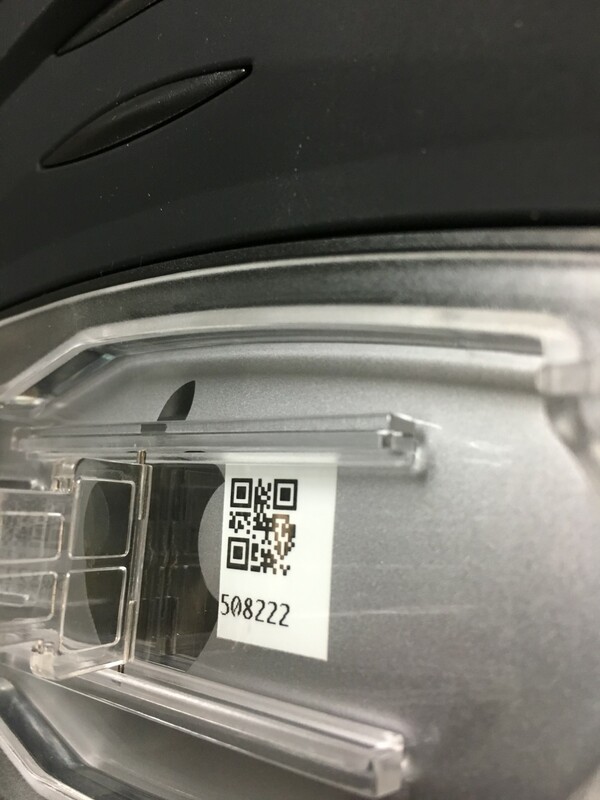 The QR bar codes are located on the back of the iPads, under the stand. 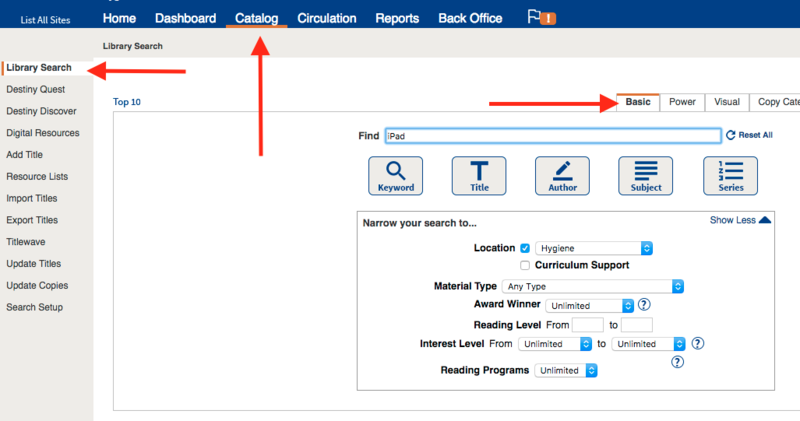 These square QR bar codes can only be scanned by a 2-D barcode scanner, provided to each school by DTS. 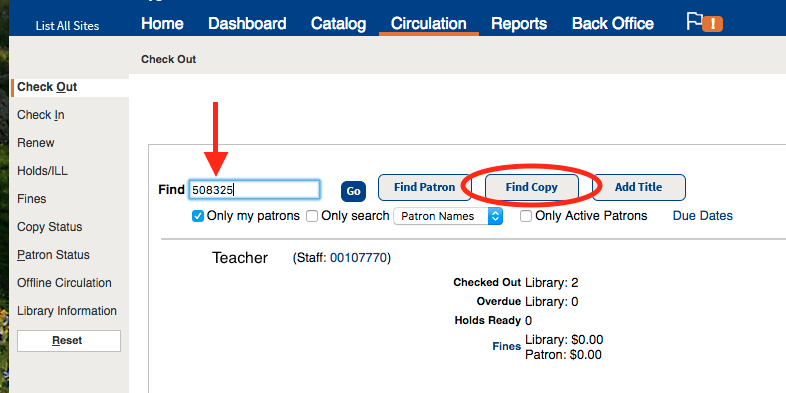 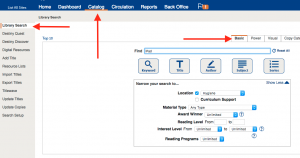 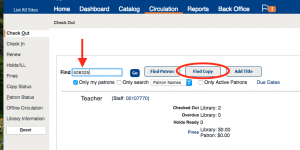 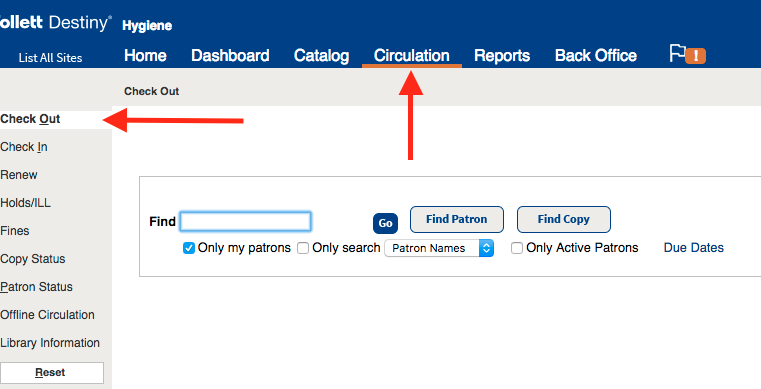 Enter the teacher’s name in the Find bar and click on Find Patron. 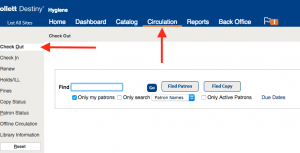 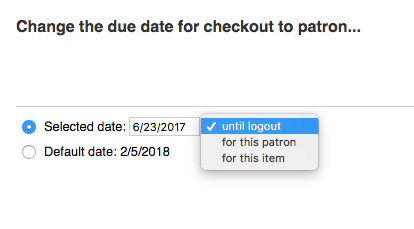 If you’d like to change the due date (to August of the following year, for example, if you plan to leave the iPads checked out over the summer), click on the Change Date button and manually change the settings.